This is less of a recipe post and more of an idea post. I am sure you guys have heard of this cupcake before. 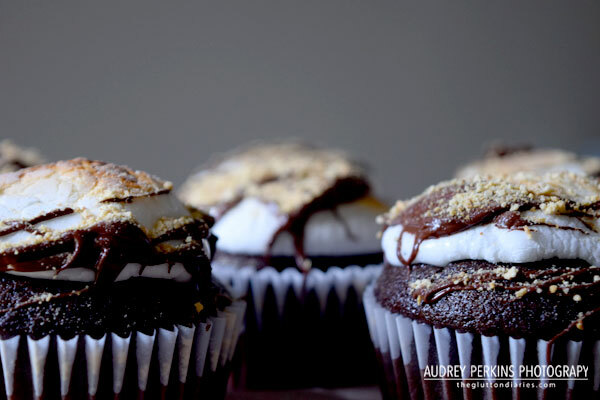 The s’more cupcake, an easy frosting hack that was popularized on Pinterest as an easy 2-minute solution for lazy bakers. I wanted to use this blog post as an excuse to try the baking hack out and give you guys my take on it. When I made these cupcakes, I had them in mind for a family outing and I wanted them to pop and make a good impression. That idea aside, I can be a fairly impatient cook. This is perfect for people similar to me because this cupcake topping is incredibly easy and takes 2 minutes tops to achieve. In fact, take your eye off of your cupcakes and they will be ruined – it’s that fast of a process. On most Pinterest posts, you will see this as a two step project. Place the marshmallow on the cake. Then, put it in the oven heated to its broil setting. However here are a couple tips on how to prevent your cupcakes from turning into a Pinterest fail. Flatten the marshmallow first. This is especially helpful if you want the top of the cupcake to look like it was iced and not just topped with a generic marshmallow. I initially struggled with having a weirdly, partially covered cupcake. I wanted it to look like I had iced everything and then toasted the top. You can achieve this look by flattening the marshmallow into a rectangle, and then laying it flat onto the top of the cake. This way, the heat will hit more of the marshmallow directly, creating an even melted and toasted look. 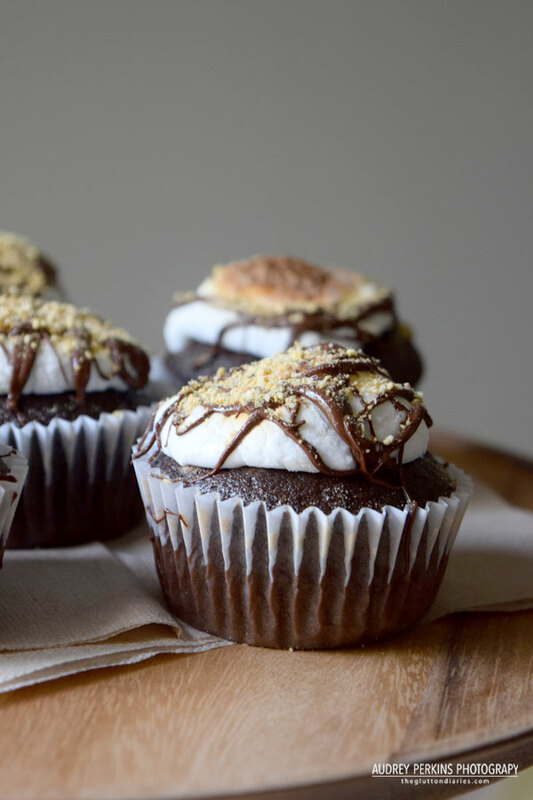 To help things along after the cakes are done toasting, press the melted marshmallow further into the cupcake and it will create a “spreaded” look. 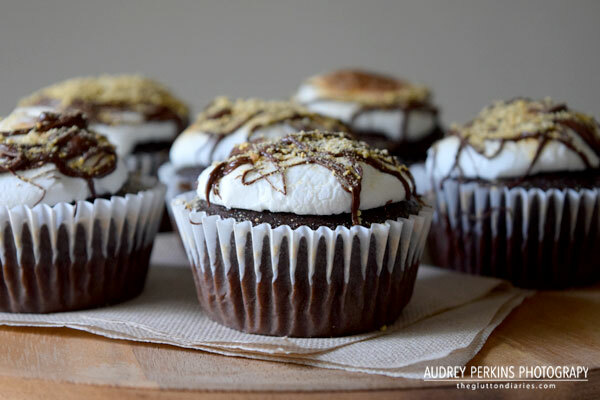 Since the key to this recipe is broiling the marshmallow tops, it is important that you do not walk away from the oven. It takes less than a minute for the marshmallows to toast and seconds for them to move from toasted to completely burned. Be ready with oven mitts and make sure to remove them the moment they have a nice golden brown crust. Lastly, I have a tip to take this idea to the next level. I liked adding a chocolate drizzle and sprinkling of graham cracker crumbs. The only difference that separates you from having cupcakes that look they came from a boutique is that last minute spent on decorations. Take an extra 30 seconds and melt some chocolate chips. Want to be even more fancy? Microwave a graham cracker for a few seconds to make it soft. From there, you can take a small cookie cutter and cut out some cute shapes and use them to top your cupcakes.